Cryptocaryon on a Diodon holacanthus in the wild. N. Sulawesi 09. 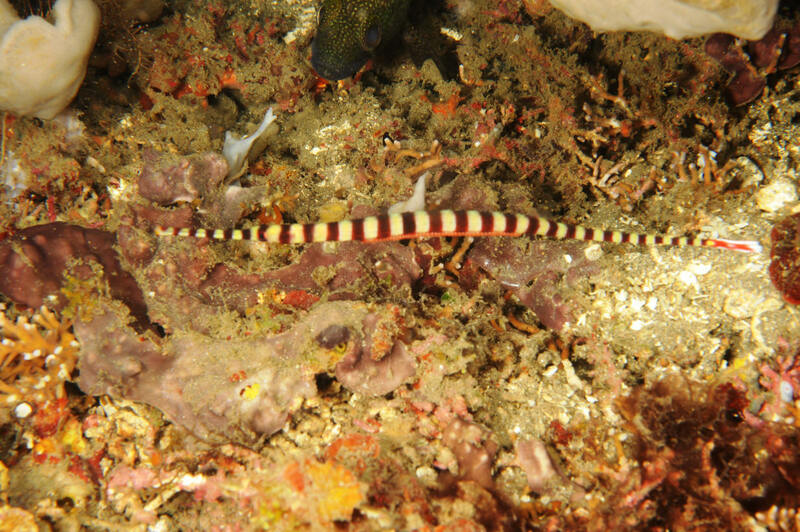 Doryrhamphus dactyliophorus (Bleeker 1853), Ringed Pipefish. Indo-Pacific; Red Sea, east Africa to Samoa. To 7 3/4" in length. A common offering in the pet-fish interest. Do buy tank bred specimens. Wild ones fare poorly. A "pregnant male" in N. Sulawesi 09. 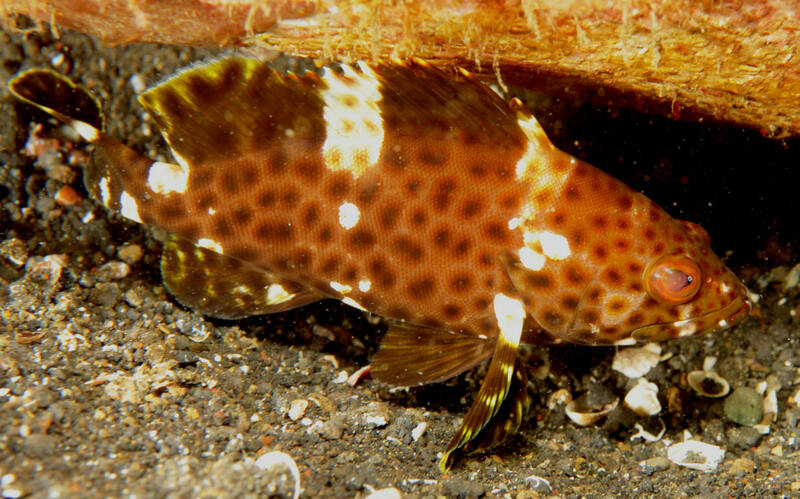 Epinephelus maculatus (Bloch 1790), the Spotted Grouper. Indo-Pacific; Cocos-Keeling through Micronesia. To 60 cm. A juvenile in N. Sulawesi 09. Eat reef fishes, crustaceans and octopi in the wild. Epinephelus merra Bloch 1793, the Honeycomb Grouper. Indo-Pacific, but not the Red Sea. To about a foot maximum length. 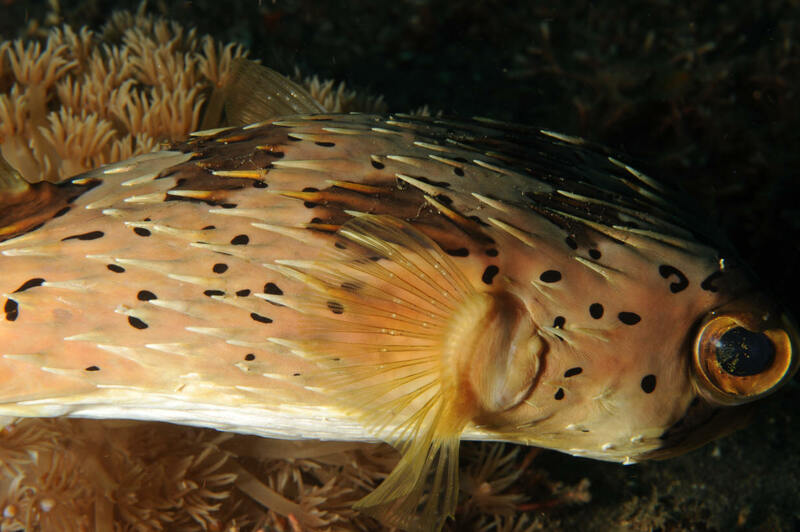 A real beauty and common in the aquarium trade. N. Sulawesi 09.